Having not visited the Norfolk Broads for 30 years, it seemed an ideal time to return. 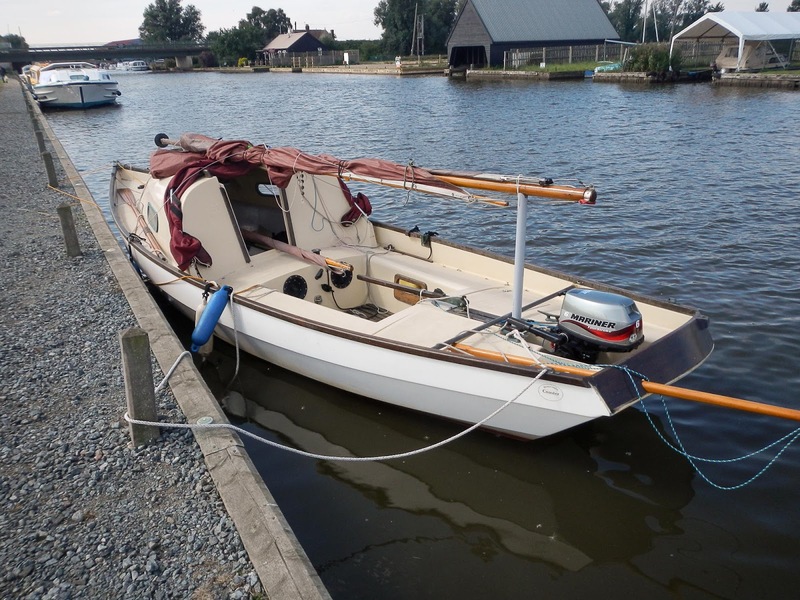 Kathleen was launched at Martham Boats, with the car and trailer left there. 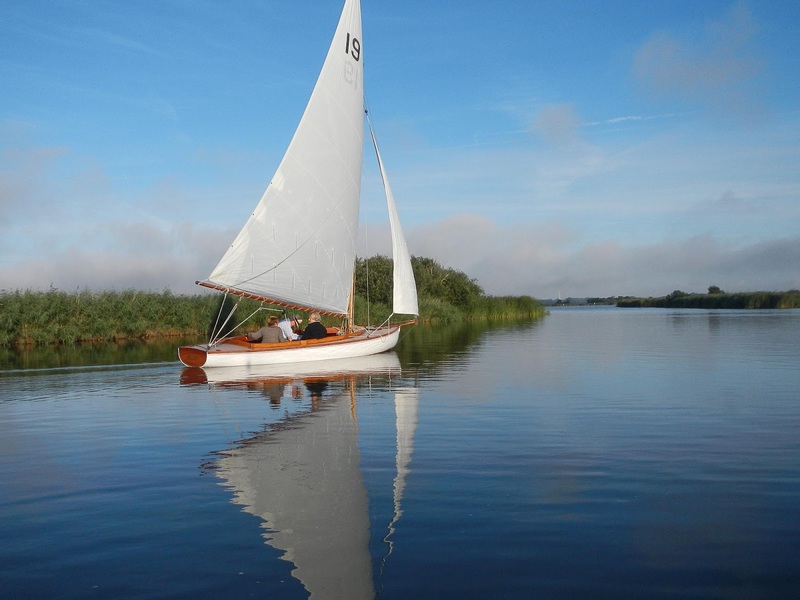 They also sell the Broads Authority Licence for a 7 day visit. 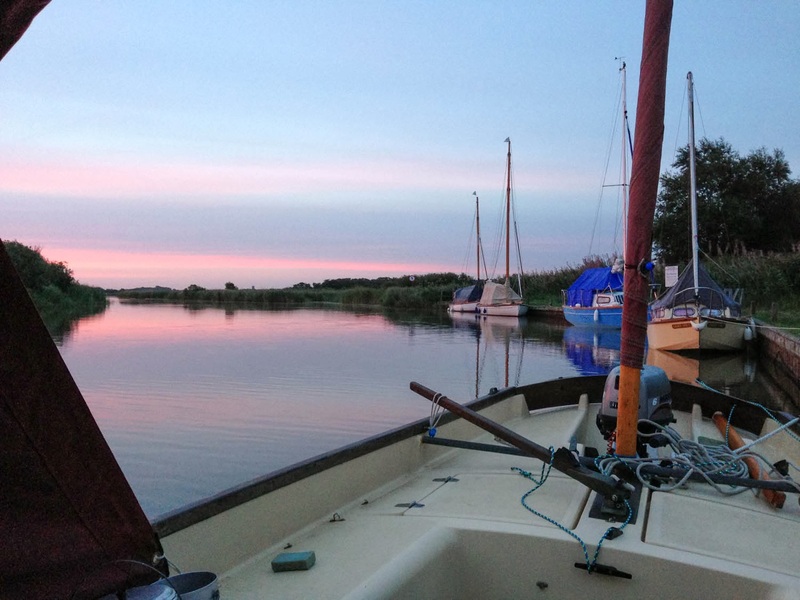 Hickling Broad and Horsey Mere are the most relaxed and quiet places. I made a lightweight mast support, using a piece of plastic drain pipe with a wooden wedge in the lower end, for passing under bridges. Once under Potter Heigham bridge things start to get busy! Although most of the motor boats were keen to help and appreciated being told which side to pass. 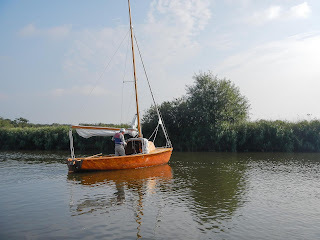 Once past Ludham, the River Bure opens out and provides good sailing. 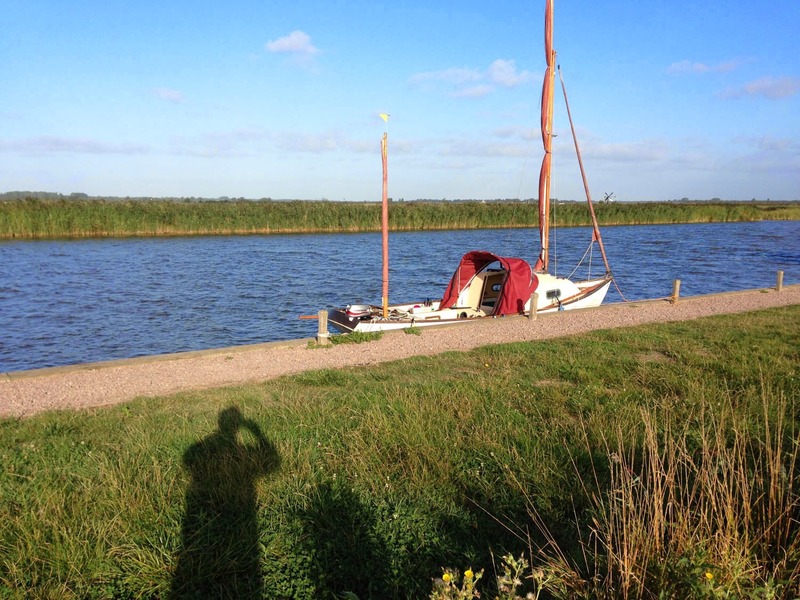 There is slip at Thurne which has a courtesy box, £5 in and another £5 out. It was not locked when I was there. Not really big enough for a Coaster and it did say no boats longer than 5 metres. However, there was some parking on grass near the public toilets and someone had left a roller trailer there. There are showers in The Lion pub at Thurne for £2. Meeting local boat owners was certainly interesting, especially the owner of a "Rover" design of boat. 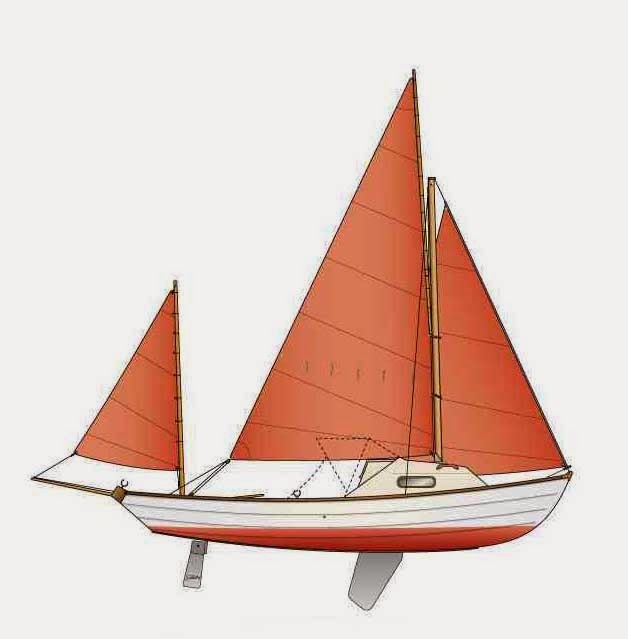 It was wooden, cold moulded hull, 16 feet long and designed by John Westall of 505 fame. You could see the similarity in the two boats. The owner felt there was only 14 ever built and he sailed around the Broads, spending over night stays under its forward cabin. It appeared to sail very well in the light airs of the Broads.